Hey! 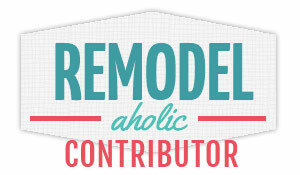 So remember last week when I said I would have my new blog look and logo? Right...I was kidding, it was this week (wink wink). You know how life goes, and things get pushed back....I am hoping it will be up soon!!! Ok. On to my Pottery Barn Knock off Clock. Yep, I am kind of in love! I have this huge blank wall in my living room, well actually it has been home to my Sunburst Mirror made from blinds, that I made forever ago, but I wanted something bigger. Something that made a statement. 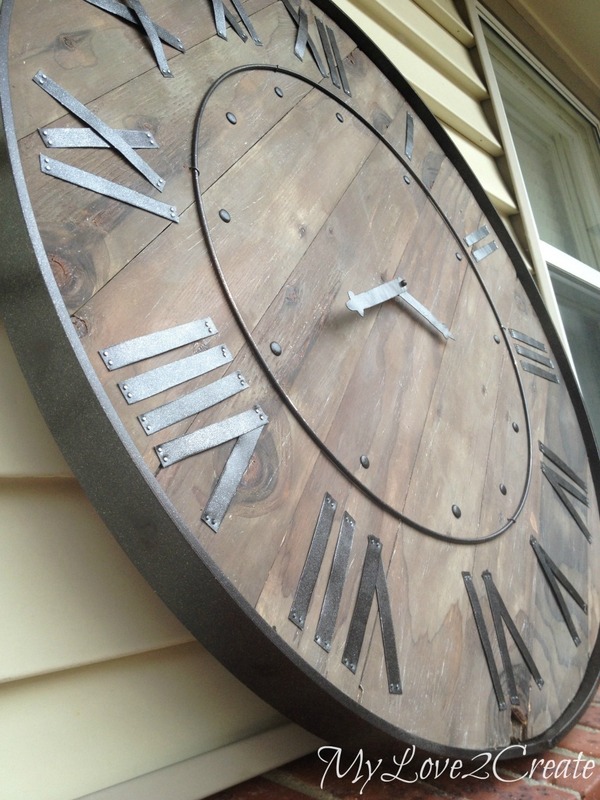 Plus I wanted a clock, and I loved pottery barn's rustic wood and iron one so I decided to DIY it! It was a super fun process to create, and I have a full tutorial for you to follow if you want to make your own! 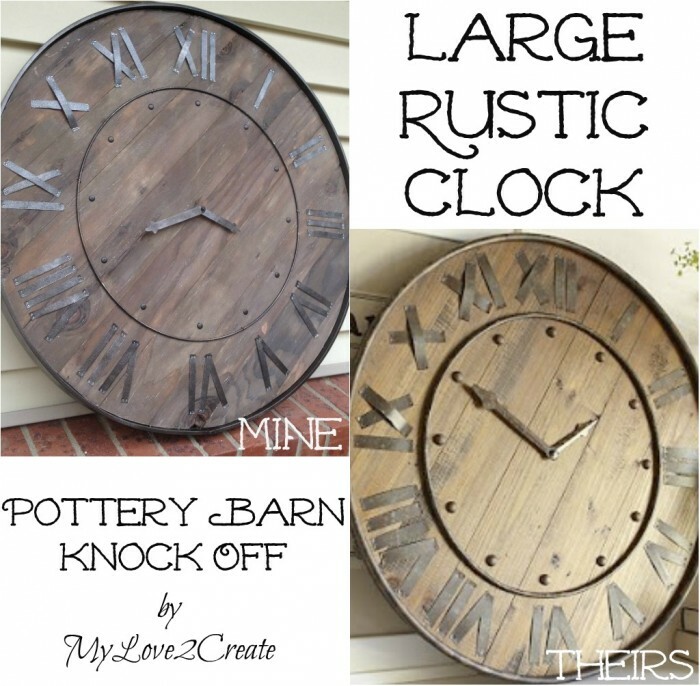 Just hop on over to for my contributor post at My Repurposed Life and check out my Large Rustic Clock, for some awesome DIY inspiration! Yours is better than theirs! 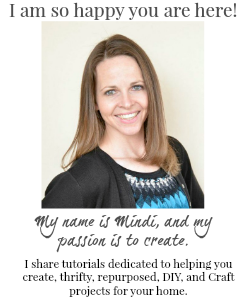 It's awesome, Mindi! You you rock! Still love this clock! You did a fabulous job on it. Girl, is there anything you can't make??? Gorgeous! Your clock is amazing! Great job! By the way, I have been meaning to tell you that I like your new profile pic. You look beautiful and have a lovely smile. I like yours better than Pottery Barn's! I bet the price was nicer too! Love the new logo - and that clock is Awesome!!! I like yours better! And dang if I just didn't add another project to the list! Lovely copycat. Yours is gorgeous and you get the joy of knowing you created it. I love this sooo much! I want to make a big clock to for the fireplace. I LOVE how this turned out Mindi! It looks lovely and so close to the original! Thanks so much for sharing this at the Frugal Crafty Home Blog Hop! Pinning this now! You know I love it, considering we made two knock off's of your knock off! Holy cow amazing! I like yours better than the original. Super impressive! Really gorgeous! Thanks for sharing it with SYC. This is gorgeous!! I went and read your tutorial too and you are great at explaining every step! Thanks so much for sharing with us at Talented Tuesdays; I'll be featuring you this week! I hope you can join us again later this morning.